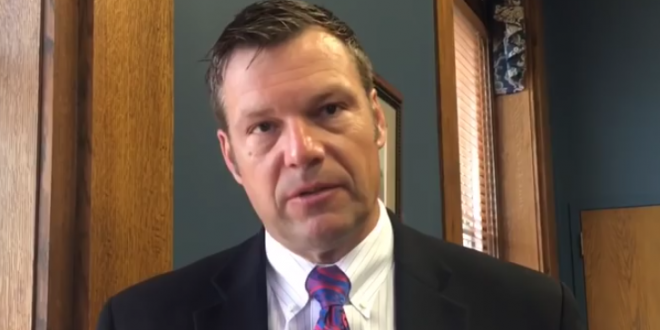 KANSAS: Court Strikes Down Proof Of Citizenship Requirement For Voter Registration, Sanctions Kobach - Joe.My.God. U.S. District Judge Julie Robinson had in previous orders temporarily blocked the requirement, which was championed by Kansas Secretary of State Kris Kobach. Robinson on Monday handed down her final decision on the case, which went to trial earlier this year. The judge also ordered Kobach to take “additional hours of continuing legal education.” Kobach is running for governor. New: U.S. District Court Judge Julie Robinson finds in favor of the plaintiffs in Fish v. Kobach, sanctions Kris Kobach for "flaunting disclosure and discovery rules that are designed to prevent prejudice and surprise." Kobach ordered to take 6 hours of legal education classes.